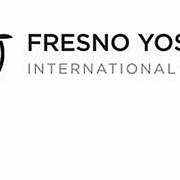 FRESNO, CA – Raiser-CA (aka Uber) has decided to discontinue operating at Fresno Yosemite International Airport rather than complying with the airport operating agreement. An airport operating agreement is required by California Public Utilities Commission (CPUC) regulations for Transportation Network Companies (TNC) to operate at any airport in California. Uber and Lyft have both operated at Fresno Yosemite under agreements with identical requirements since the inception of their operations last year. Lyft has been, and remains in full compliance and will continue to serve the airport. The requirement at issue is that each TNC must coordinate with the Airport’s designated Third Party Clearinghouse to enable activity tracking and reporting. The Clearinghouse service is provided by the Airport at no cost to the TNC. The reporting information is a tool used to enhance public safety and for managing and planning its infrastructure. Fresno Yosemite continues to encourage Raiser-CA to reconsider their position and enhance service to their customers.